More balmy than brisk, fall here is perfect for hopscotching between the city’s historic green (and red and gold) spaces. 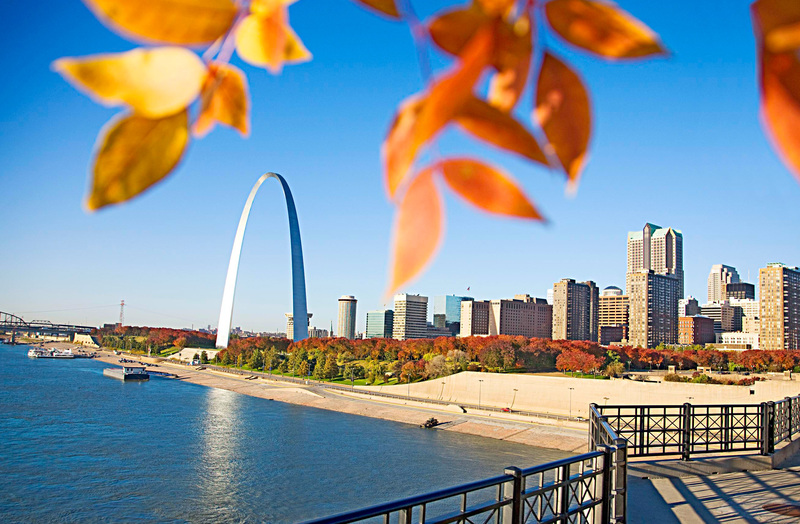 Around St. Louis, autumn creeps in like a long, slow swig of sweet tea. You can theme a whole weekend around the idea of lazy strolls. Once upon a time, Victorian belles walked through Lafayette Park under frilly parasols. At least it’s fun to imagine they did. The prim, perfectly symmetrical park anchors Lafayette Square, a near-downtown neighborhood of elegant homes, including the opulent Park Avenue Mansion inn. A couple miles southwest, in larger Tower Grove Park, pumpkins tempt families at an intimate Saturday farmers market, where music plays and a free yoga class spreads out under the trees. 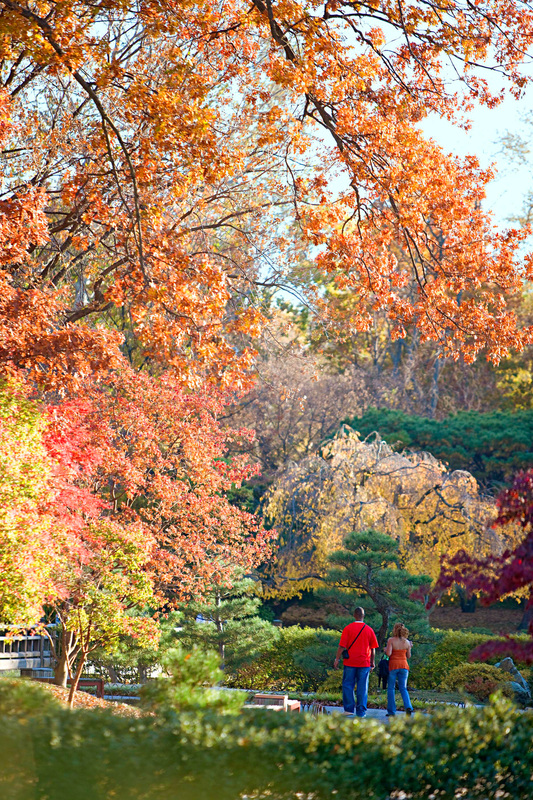 Across the street, the Missouri Botanical Garden sprawls over 79 acres. Come early, and your only company might be amateur photographers or, if you’re lucky, a fox drinking from the lily pond. Drive a bit farther, and you hit Forest Park, about 15 minutes west of downtown. Home to several free attractions, including the zoo and art museum, it’s both a cultural hub and a sort of vast, communal backyard. If you visit during the Great Forest Park Balloon Race in September, rent a pedal boat and watch the balloons drift through a cloudless fall sky from your floating perch in the Grand Basin. Lines at the Gateway Arch are shorter in fall. 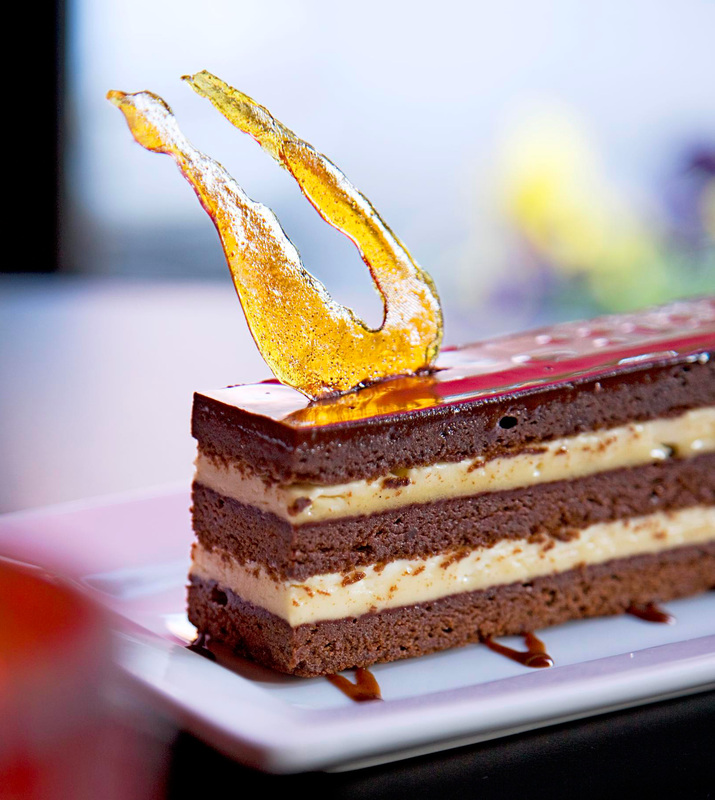 The namesake dessert at Baileys’ Chocolate Bar layers cake and boozy buttercream. 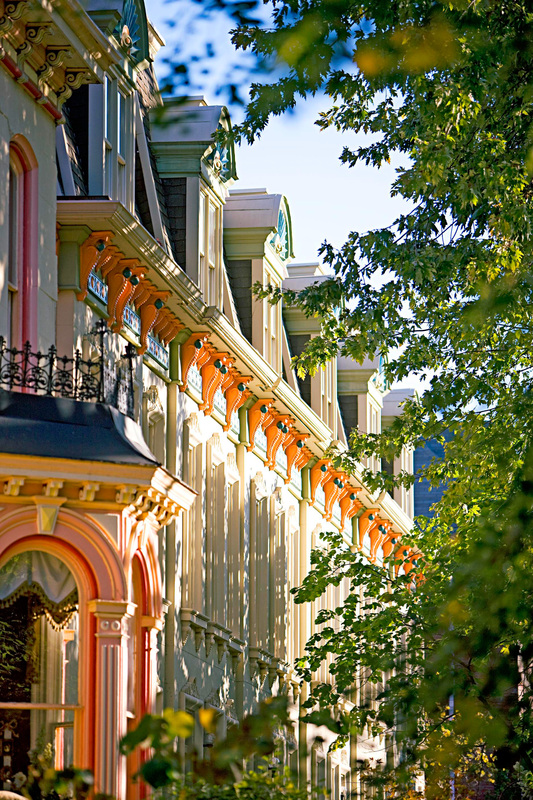 Ornate homes give Lafayette Square European flair.